I switched the trailcam to photos, rather than videos. It's not quite the same. I made a video of the photos. 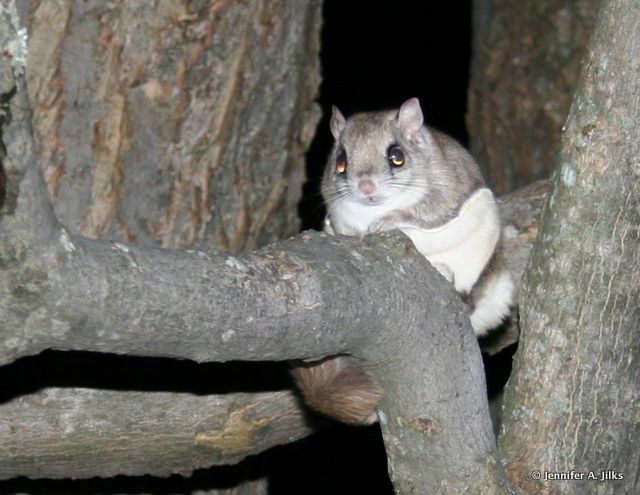 We had a flying squirrel. See if you can spot it. The dark line, along the edge of it extra skin fold gives it away. It was there, according to the time stamp, March 19 at 23:23 to 2:12 on March 20th. It's only evidence, there is no way I would have been out there looking for it. It's a nocturnal critter. Plus, it's been -11 C. out there at night. We had one on the front deck, in Bala, in 2009. Sadie was watching it, which was my clue. The little thing just bounces back and forth from tree to bird feeder in the dark. Who knew what flitted about in the night? After research I figured it out! 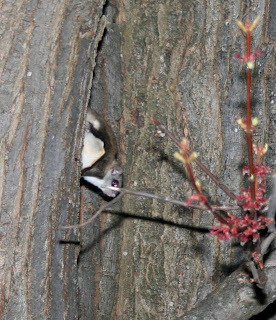 A flying tree rat. I am amazed with the nightlife I miss in my old age! Way too cold to be out there, waiting, Those video cams are the best. Set and forget!!! Love the last one, what speed to flit down, grab a wee feed and back again. Well done on the 2nd vid, and I could almost see it a few times in the 1st. Flying squirrels are really cute. 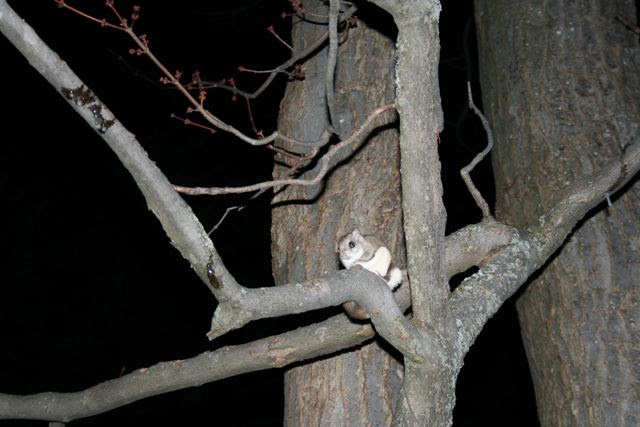 I've seen them in Muskoka, gliding down from a tree to the porch or to a bird feeder. It's an amazing animal, superbly adapted. 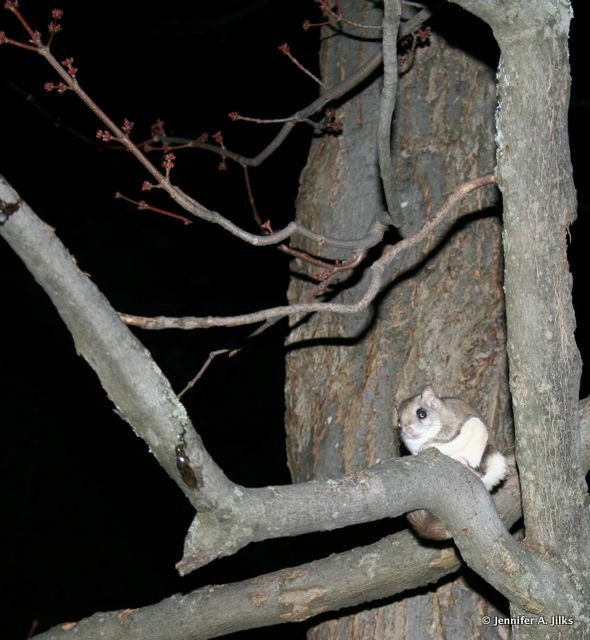 There are many more flying squirrels than we think.